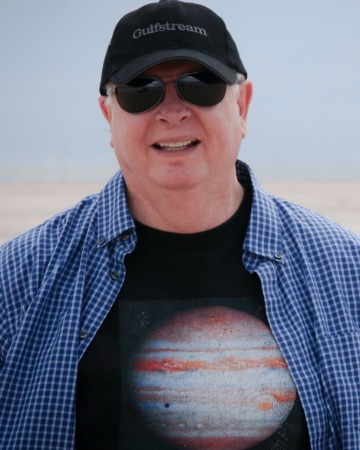 Dennis Meredith is a veteran science communicator and author of science thrillers that seek to extrapolate real-world science into compelling stories that speculate on their ultimate implications. He brings to his novels an expertise in science from his career as a science communicator at some of the country's leading research universities, including MIT, Caltech, Cornell, Duke and the University of Wisconsin. He has written well over a thousand news releases and articles on science and engineering, as well as numerous articles and guidebooks on science writing and science communication. He is author of the leading book on science communication, Explaining Research: How to Reach Kay Audiences to Advance Your Work (Oxford 2010). He was a creator and developer of EurekAlert!, working with The American Association for the Advancement of Science to establish this international research news service, which now links more than 4,500 journalists to news from 800 subscribing research institutions. In 2007, he was elected as a Fellow of the American Association for the Advancement of Science "for exemplary leadership in university communications, and for important contributions to the theory and practice of research communication." In 2012 he was named the year's Honorary Member of Sigma Xi, the Scientific Research Society. Besides writing science articles, nonfiction books and science thrillers, he also develops and conducts communication workshops for researchers seeking to enhance their communication skills, both professional and lay-level. He has developed workshops for researchers at universities, research foundations, and government agencies and laboratories. Somebody has stolen the most beautiful cat in history! It’s 2050, and the Cerulean cat, with its mesmerizing iridescent blue fur, is the ultimate genomic engineering triumph of the high-flying company, Animata. Animata reaps massive profits creating and selling a marvelous menagerie of animals—including exotic crosses like cogs, dats, snurtles, alliphants, hamakeets, and feather boas. Its ultra-rich clients, however, clamor for the really spectacular specimens—dragons, unicorns. . . and now the Cerulean. The stunning cat had promised to bring billions of dollars from a corporation, a private collector, or an exhibitor. Swept up in the theft is naïve young Timothy Boatright, a wanna-be writer and New York cabbie. He inadvertently picks up the thief and the nabbed Cerulean. The cops suspect he’s a partner in the crime. To prove his innocence and save the cat, he tracks it down and steals it back. 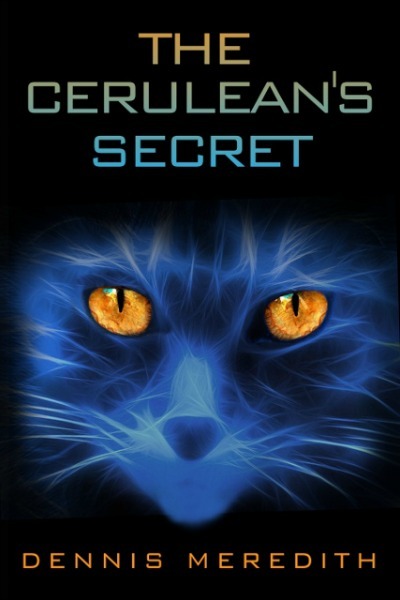 Tim realizes that the Cerulean holds some explosive mystery he must solve to survive and save the cat. He must also save his friends held for ransom—the middle-aged, cat-loving former spy Callie Lawrence and her headstrong daughter Lulu, with whom Tim has fallen madly in love. Solomon is an extraordinary chimpanzee, taught by primatologist Abigail Philips to understand and use language. But her research center is under a financial death sentence from her university. Desperate to save Solomon from what, for him, would be a dismal life in a retirement facility, Philips agrees to give legal control of Solomon to billionaire Walter Drake. He has agreed to house Solomon in comfort and enable her pioneering communication research to continue. But the ailing billionaire betrays Philips, planning to "harvest" Solomon's heart to biologically engineer it to replace his own failing heart. The procedure will not only doom Solomon. Its success will also sentence a thousand chimpanzees in sanctuaries to death on the operating table, and lead to industrial breeding of chimpanzees for organ harvesting. Solomon's only hope is flamboyant LA trial lawyer R. William “Bobby” Colter, defender of whoever pays his considerable fee. Hired by eccentric dowager Sarah Huntington, he sets out to win the most difficult case of his career: obtaining legal protection for Solomon. 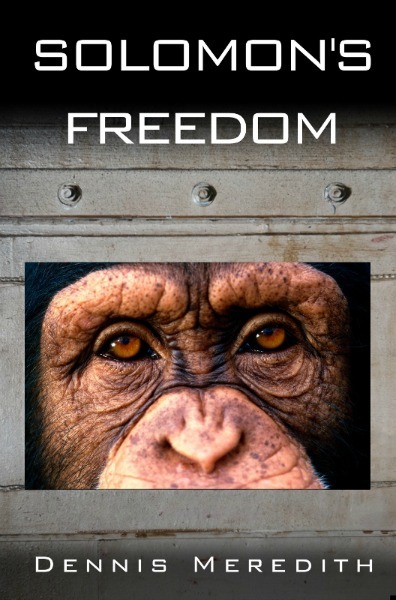 Can Colter succeed against all legal precedent and free Solomon, or will the chimpanzee die at the hands of surgeons, a harbinger for the end of a thousand of his brethren? What are these exotic "wormholes" that threaten Earth? Can their secrets be discovered, their power even harnessed? Or will they spawn a cosmic monster that will annihilate the planet? 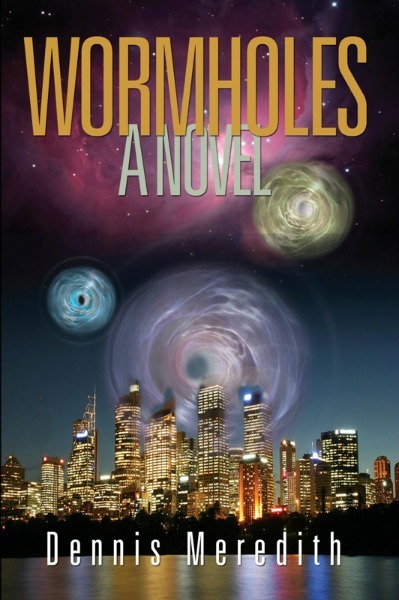 Brilliantly original, Wormholes reflects Albert Einstein's famous assertion that "Not only is the universe stranger than we imagine, it is stranger than we can imagine." Veteran science writer Dennis Meredith has crafted this astrophysical adventure drawing on his decades of experience working at leading research universities such as Caltech, MIT, Cornell and Duke. It’s the weirdest bioterrorism attack ever! At first, loner scientist Arthur Lupo seems the most eccentric bioterrorist of all time. After vanishing from his lab at a biotech company, he releases viruses that only turn their victims a palette of colors. But then his chief pursuers—disgraced FBI agent Bobby Loudon and obsessive CDC epidemic-tracker Kathleen Shinohara—discover a horrifying fact. The brilliant Lupo has stolen the world's most lethal viruses from the Army's bioterrorism center. Lupo reveals that his first viruses were only a test. He dramatically proves their infectivity by transforming the terrified citizens of Denver into a rainbow of colors. In a chilling declaration, he announces that he will now release an unstoppable artificial virus whose spread will decimate the world's population. Loudon and Shinohara must race against time, a mysterious assassin, and a secret government faction to find Lupo and stop him. 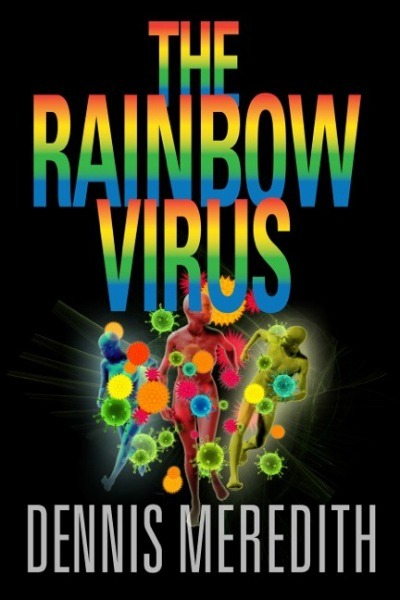 The Rainbow Virus is a gripping, realistic bioterrorism tale that launches readers on a harrowing adventure with the flips and plunges of the wildest roller coaster.